Welcome home! Drive down this lovely neighborhood street and note the impressive feel of this 4 bed, 2.5 bath Colonial - truly a home for all seasons. Snuggle up by the brick fireplace in winter, cut fresh flowers from the the pretty perennial gardens and enjoy your favorite book in the screened-in porch in spring, grill your favorite meal out on the deck during summer nights, and get together with neighbors for the annual block party in the fall. 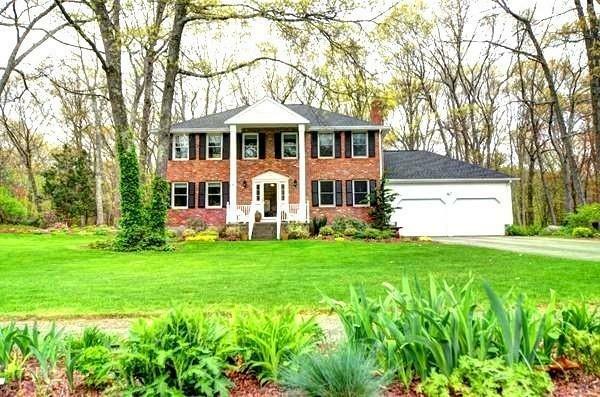 Features include updated bathrooms - all with granite counters, laundry room off kitchen with ss washer/dryer, a private fenced-in backyard with storage shed, 2 car garage, large master bed with walk-in closet, and a finished basement - perfect for playroom, office, or entertaining & watching Patriots games. Only 5 minutes to Lake Winthrop/Stoddard Park/Beach & Charles Rail Trail! Holliston offers top-rated schools with optional French Immersion and Montessori programs. Come and see this special home!